Dr. Ben Edwards, lead author of the report, said: "We were approached by BEIS to undertake a technical exercise to measure and compare equivalent earthquake magnitude scenarios to everyday activity." "We were asked to provide a comparative context for surface vibrations which would measure the same, or similar, at the surface to the induced seismicity recorded at Preston New Road." "We felt that this was an important exercise, since the possible surface effect of induced seismicity is not well understood by the public and offered to carry out this task within the scope of our wide-ranging earthquake outreach activities." 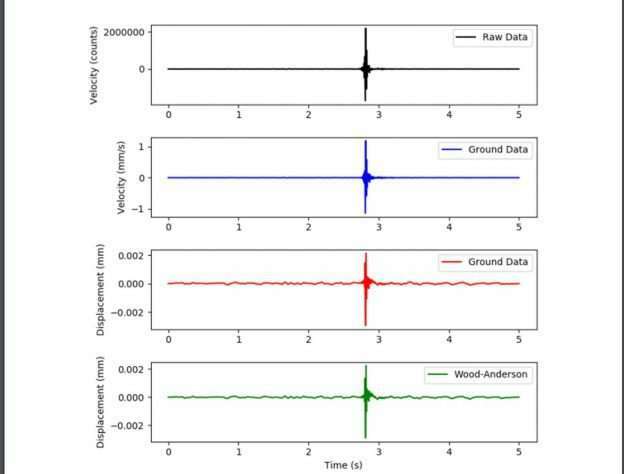 "Given the lack of information available on comparative vibration scenarios for small magnitude earthquakes we undertook our own investigation using our expertise in seismology." "The scope of the report was to only measure surface vibrations and did not extend any further to measuring the extent of levels of ground movement underground. As we point out in the report, the spatial extent of earthquake vibrations is spread over a much larger volume." Typical British half-arsed fruit salad attempt to deal with the possibility of shallow Earth tremors - investigate by dropping a sack of flour onto the ground. Perhaps they don't realise just how dumb they appear to be by admitting to their foolishness that was supposed to resemble science.